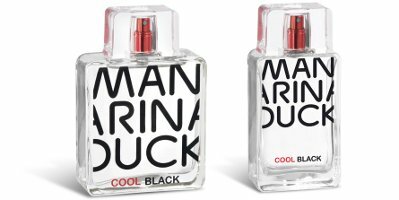 Mandarina Duck has launched Cool Black, a new fragrance for men. Cool Black is a flanker to 2009's Pure Black. Cool Black was developed by perfumer Nathalie Lorson; notes for the woody aromatic include bergamot, lemon, black pepper, violet, elemi, hyssop, cedar, moss and musk. Mandarina Duck Cool Black is available in 50 and 100 ml Eau de Toilette. The fact that their company is named after such a beautiful duck makes me want to try this. There is a male Mandarin Duck that hangs out with the Wood Ducks (also very beautiful) at a local pond.